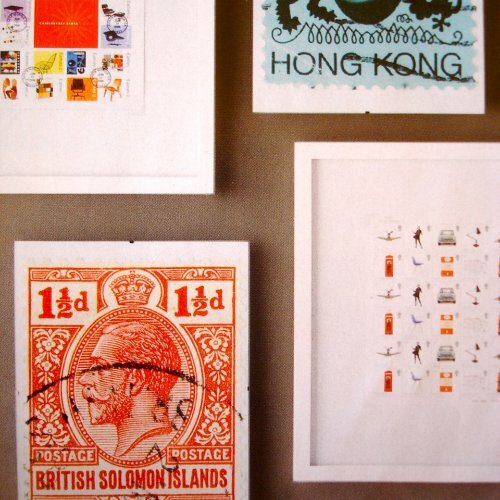 flicking through the latest inside out mag, the page where they suggest making some mini artworks from stamps, (the pic above is of p.65 from vol 82), reminded me about the husband's stamp 'collection' sitting in a big ol' box in the studio and about a story i've been meaning to share for a while. you see, i popped in to a local op shop about a month ago and got chatting to the little old lady in there after she saw me reading the newspaper clipping stuck to the counter. amazingly, this little, nothing special kind of op shop, had raised twenty-something thousand dollars for various charity projects around australia & overseas. 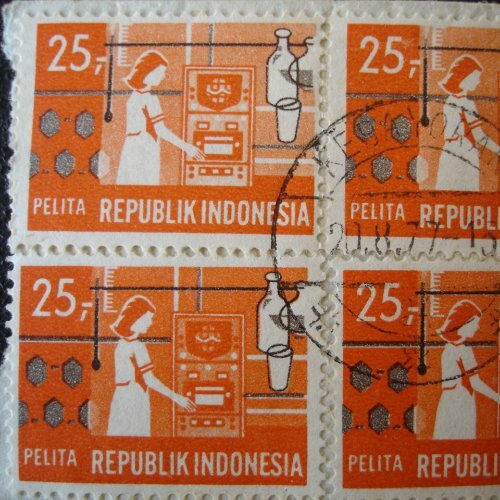 simply from collecting and on-selling donated stamps, bus, train & tram tickets. 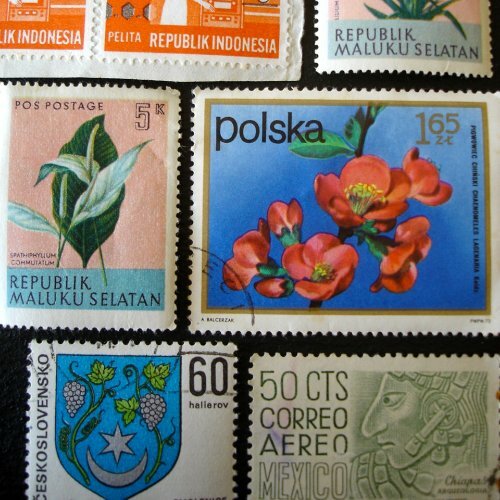 everyday stamps and stubs that would normally be piffed without a thought. twenty something thousand dollars! so, from now on, if anyone would like to stockpile their stamps and old tickets to donate, then please email me for details. meanwhile, i did find some little gems tucked away in that big ol' box. 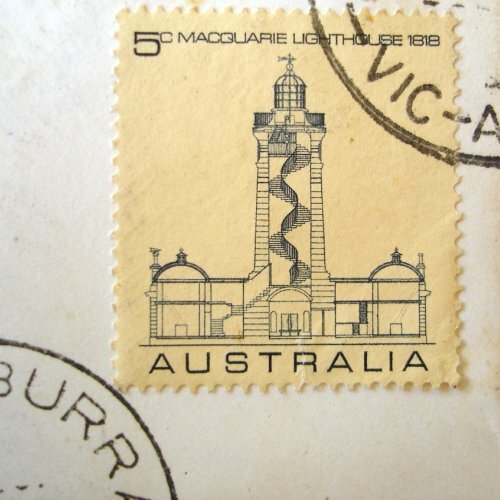 there are stamps in there from countries that don't even exist anymore, but more importantly, i came across some great 1960's vintage australian ones on old letters addressed to the husband's mum when she was a little girl. 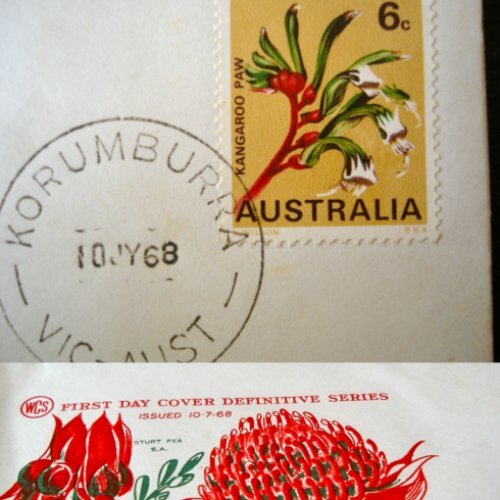 they all had 'first day cover' envelopes with matching graphics to the stamps. pretty cool huh? update: i noticed that hiki over at jollygoo did a nice post on some great japanese stamps from the 70s if you're interested.